It is week 3 of my Whole 3o journey. Things are much easier this week. It is coming natural to eat this way. I still want some chocolate and wine, but I have to just distract myself. 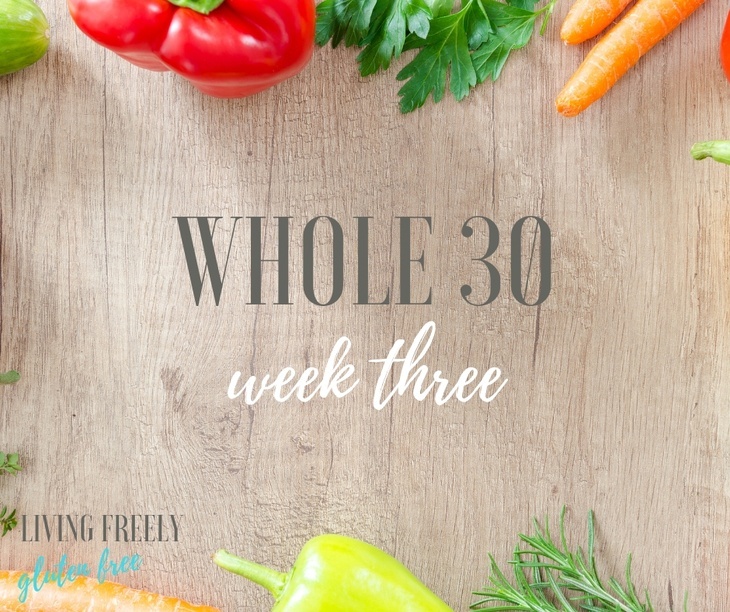 Whole 30 Week 3 has been very sobering for me. My mind is digging deeper than it usually does. I’m feeling things a lot more. I honestly feel like I’m seeing clearer. It sounds weird and its hard to explain, but I feel like I am hearing my thoughts and my feelings more then I used to. I guess I could describe this as reflecting on things a lot more. I’m seeing the bigger picture with my wants and needs as a human being. Dreams vs. reality, which is hard for me because I am a dreamer. I feel like I am way less anxious than before and I am ready to come up with a plan of action for my business and life for this year. I have started doing yoga again and my appetite is much smaller than it used to be. 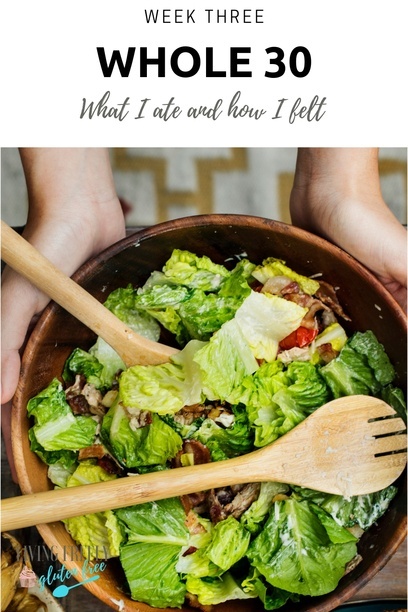 Overeating has always been an issue with me- in fact I have been struggling with it for my entire life. I can honestly say I am not overeating anymore. It is pretty awesome. My portions are smaller and I am feeling fuller much faster. I have lost about 5 pounds. Sleep is so much better now, because I am falling asleep faster and sleeping through the night (unless one of my kids wakes me up). Lunch- Used leftovers from the Stuffed Bell Peppers on Day 13 to make nachos. Dinner- Hamburger soup made with ground beef, potatoes, carrots, and bone broth. Dinner: Red Robin Wedgie Burger with Side Salad and I brought my own ranch. Today I had a decreased appetite. It is probably what it should be. I am just an overeater and I have been all of my life. I find myself not finishing my plate and that’s ok because I generally put too much food on my plate. I’m really tired of lettuce wrapped burgers, but its nice to not have to cook. Plus my family really enjoys going out for dinner once a week. Lunch: Bowl of a sliced up banana, strawberries, coconut chips, walnuts, and a drizzle of almond butter. Dinner: Veggie Stir Fry using all of the veggies I had on hand. 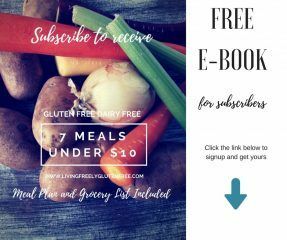 I add cauliflower rice and coconut aminos. It was delicious, but I was hungry before bed. Today was one of those days that I didn’t want to cook. I also did not want meat, at least what I had in the house. A good steak sounds amazing, but I am already over budget this month, so no steak for me. Today I felt like I ate well and I wasn’t hungry much in between meals. I have lost about 4 pounds since starting, although 2 of those pounds where holiday weight. In general I feel good. However, today I was craving chocolate like a mofo. Enjoy Life sent me a bock of Valentines chocolate and it made me want some bad. I just had to distract myself and remember how far I’ve come! Today we went to a birthday and smelling and seeing the foods I loved was a little difficult for me. Today I was in a great mood. I went for a walk and we BBQ dinner because it was really nice out. The dinner was delicious and I am planning to eat the leftovers for breakfast tomorrow.